In every webinar lies an opportunity to impress your target audience by providing a seamless and intuitive attendee experience. If content is king, then audience is the royal family, and they should be treated as such. From escorting them to the event, to introducing them to sales -- the entire experience is key. 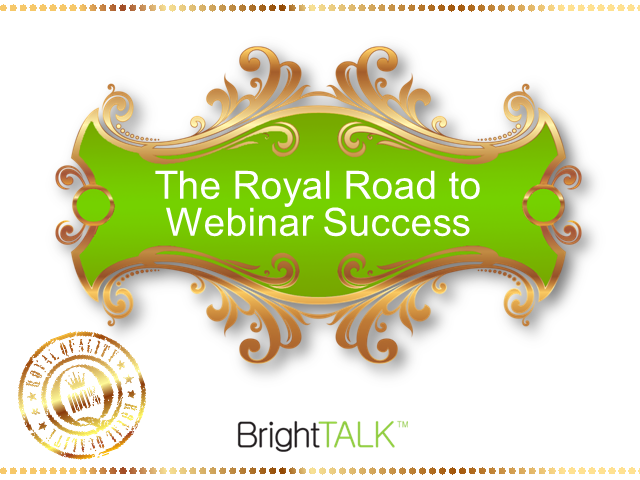 Join Andrew Bellis and David Kreitter as they share the best practices BrightTALK is using to wow 2,500 webinar attendees every month.